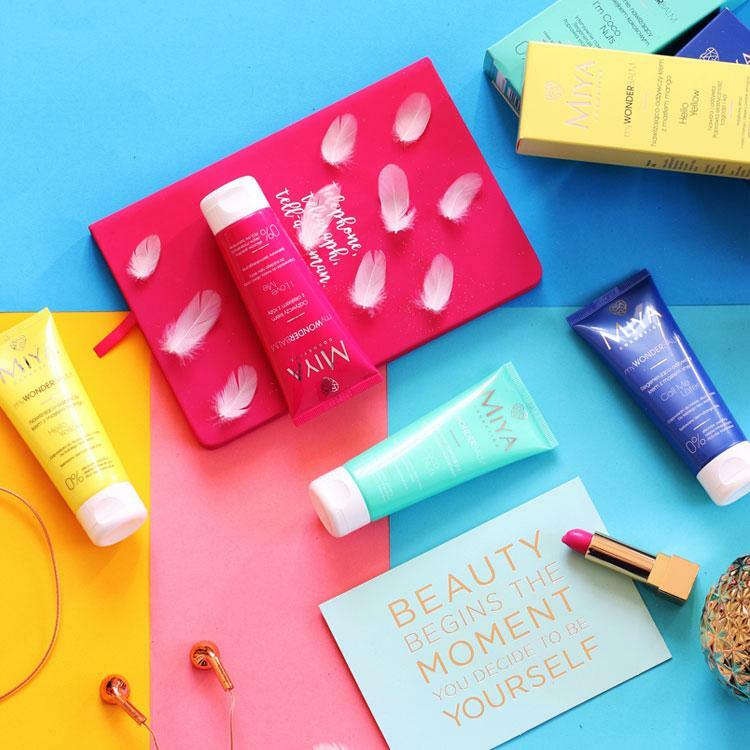 Skincare products that fit the lifestyles of modern women. Quick-absorbing formula and results visible immediately. 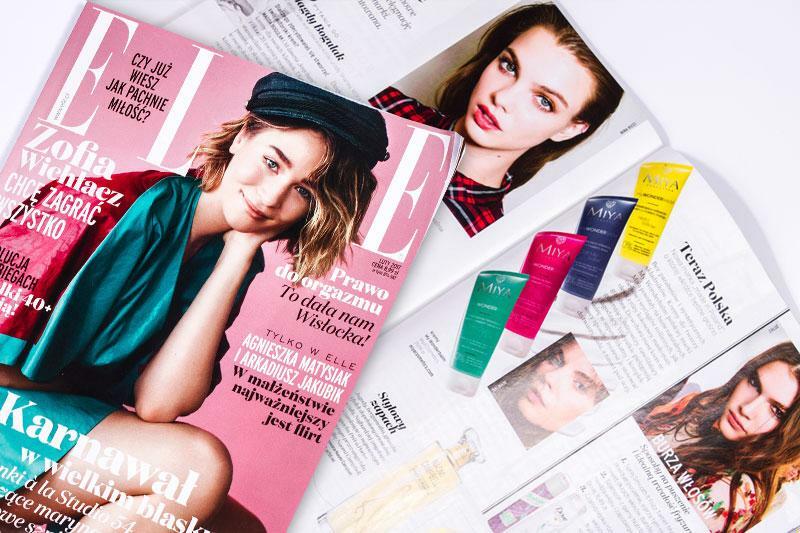 10 top cosmetics Made in Poland worth testing on your own skin. No. 1? 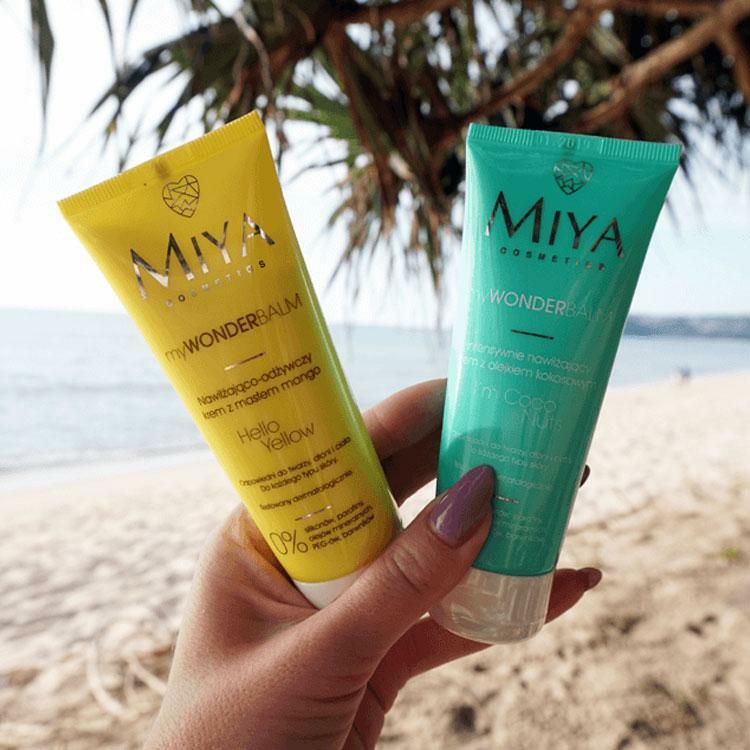 myWONDERBALM! 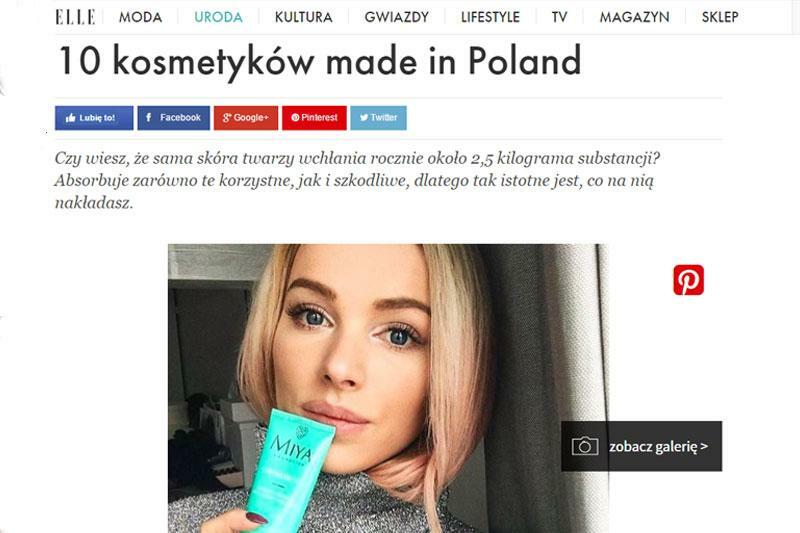 Brand Made in Poland that will make the headlines. 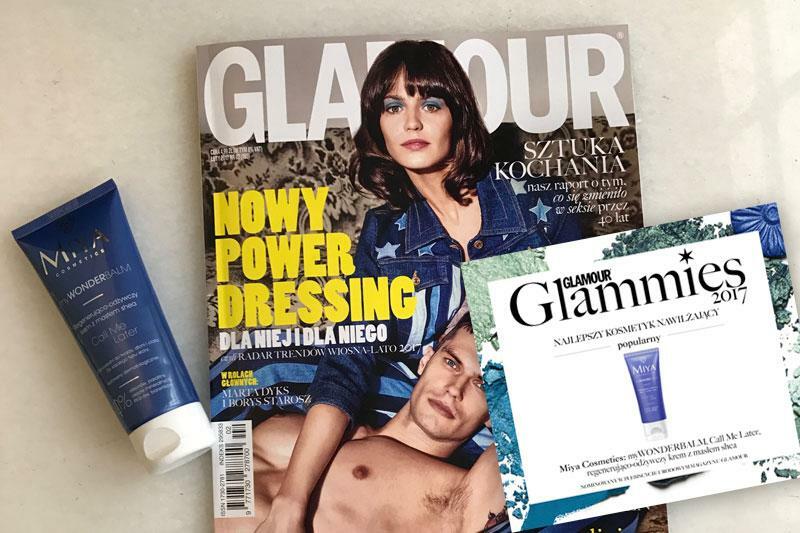 Best moisturising cream – Glamour’s choice. We recommend the cream with rosehip oil. Spectacular effects and convenience of use. 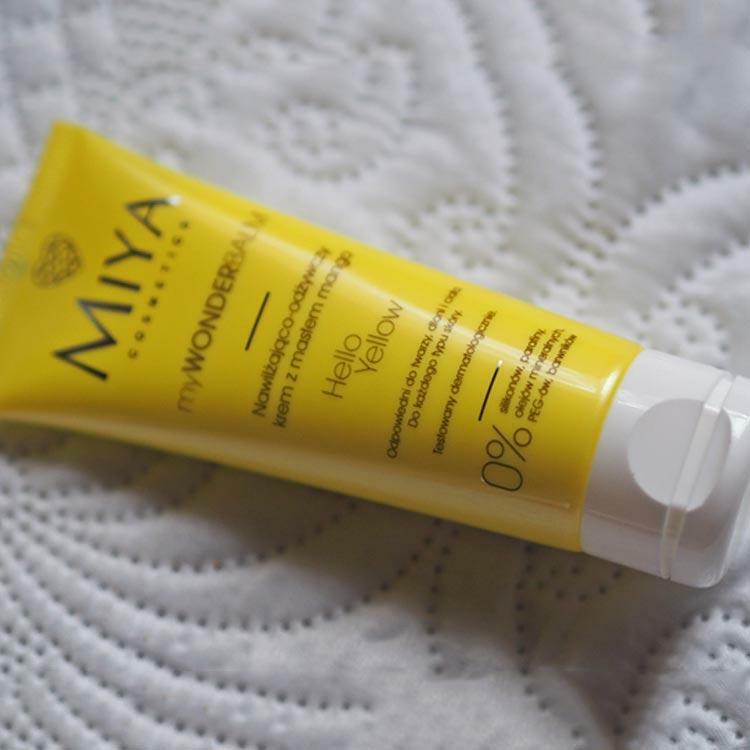 This cream in a yellow tube may look ordinary but works really well for me as a day cream – it absorbs quickly, moisturizes and stays nice and invisible under make-up. I chose the Hello Yellow with mango butter and grapeseed oil, which also soothes irritations. Why did I fall in love with them? First of all because they are universal – you can use them for face, hands and body (…) This reduces the number of necessary cosmetics in any toiletry bag, which is a huge plus for me as I will spend the next few months travelling. For me creams are cosmetic products for people, who don’t have time for complicated and time-consuming skin care. 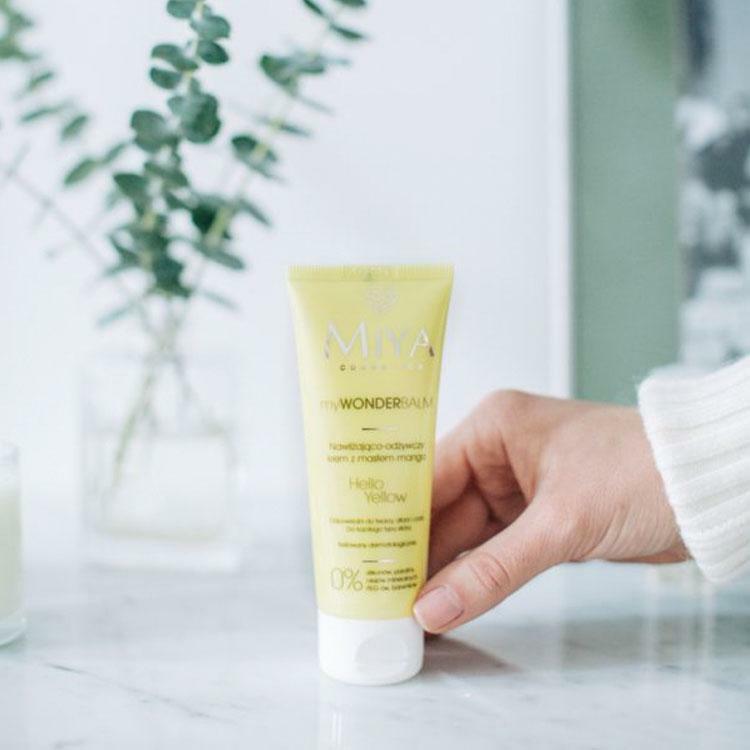 A cream is something you can put in your handbag or the toiletry bag you take with you to the gym 😀 Each time I had to take a shower at the gym and later spend the whole day on the move, My WonderBalm has saved me more than once. 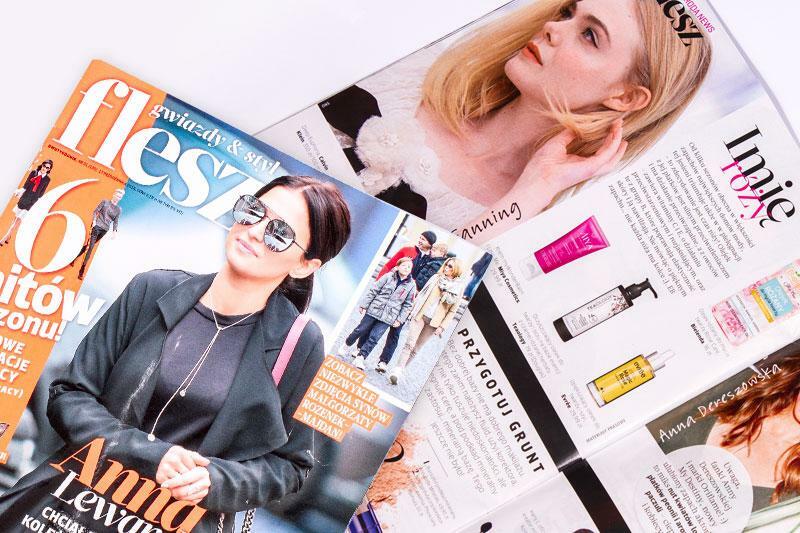 From the first moment (…) I knew these creams would revolutionise the skincare product market in Poland. Why? (…) They have reasonable prices, great, natural ingredients, they work for day and night, under make-up, and don’t clog pores. Their formula includes high-quality natural ingredients such as oils, vitamins, plant extracts and butters and excludes everything that should be avoided. If I had to buy only one cream until the end of my life, it would be I’M Coco Nuts from MIYA. (…) You’ll fall in love with MIYA I’m Coco Nuts from the first application. 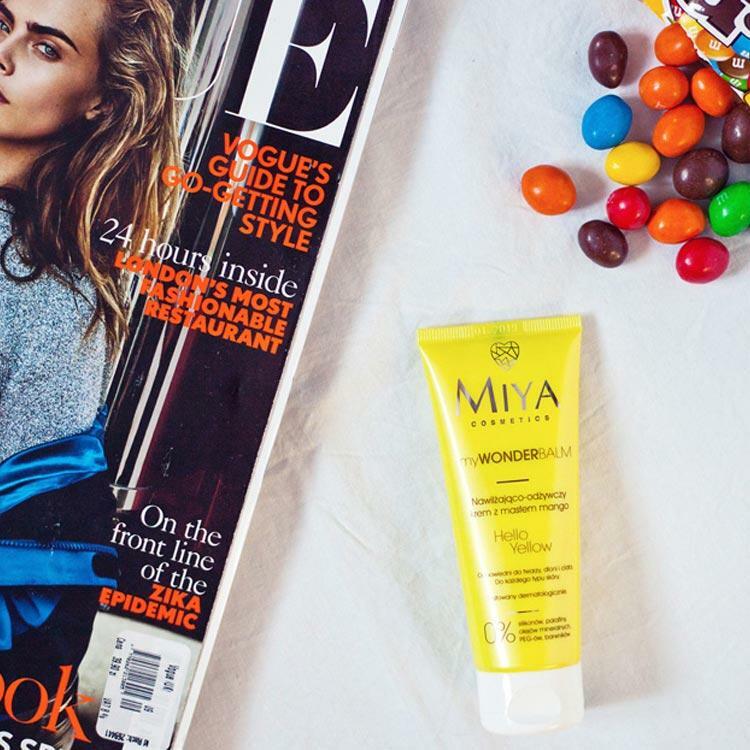 When I smelled the yellow myWONDERBALM I knew it was the one! It smells like mango. (…) I don’t think I’ll need to look for another cream anytime soon. I’m hardly ever so delighted with this type of product. 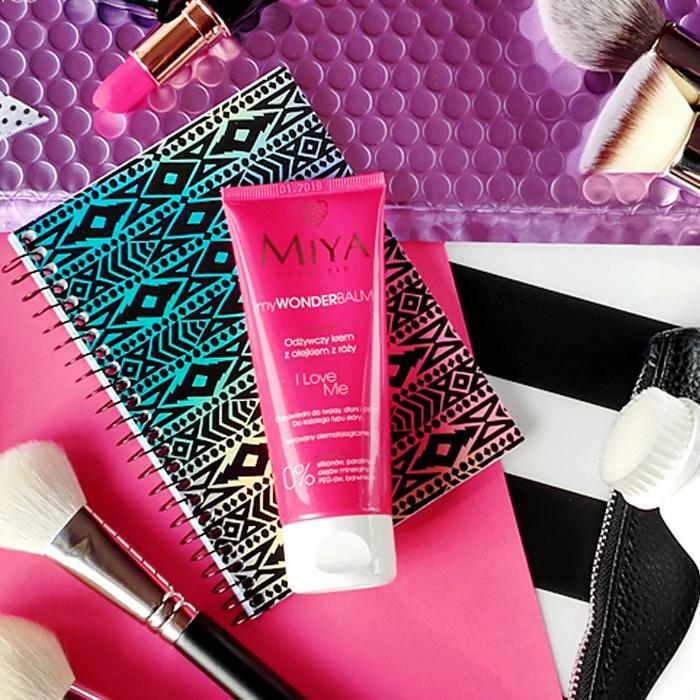 MIYA’s cream works well applied under makeup, because it is absorbed in a blink of an eye. 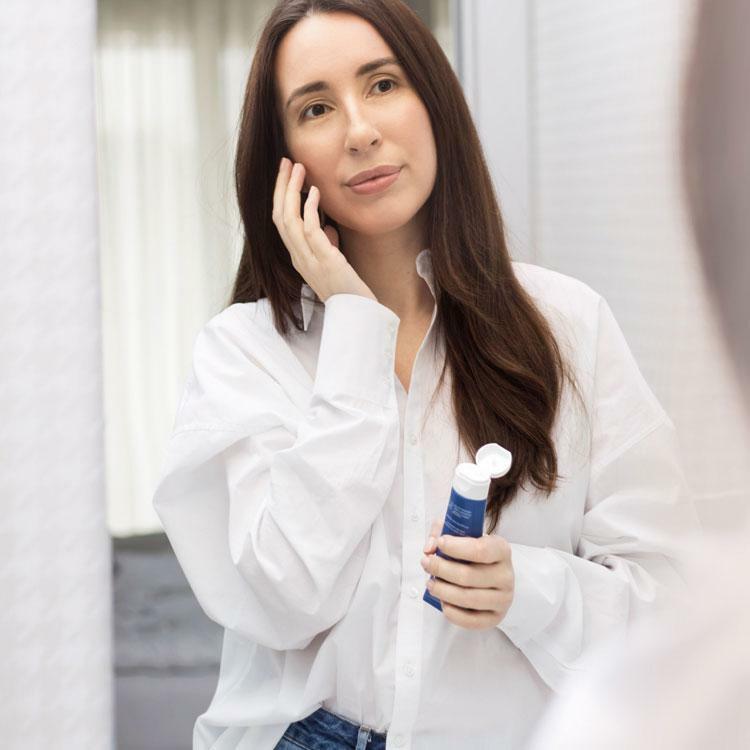 The cream has a rich consistency but is absorbed very quickly, which makes it a great makeup base – and this is how I will use it. This cream is a perfect makeup base as it doesn’t leave a greasy film and is absorbed quickly giving you a matte-looking skin. Your skin is soft, smooth and radiant yet not too shiny. For me this cream has worked better than many other cosmetics for mixed/oily skin I’ve used before. Already after a week my skin began to look better and the more I use it, the more I like it. My skin fell in love with this cream and for me using it is pure pleasure. What is more, it can be used for face and the whole body, which makes it very universal and a perfect choice for travellers. 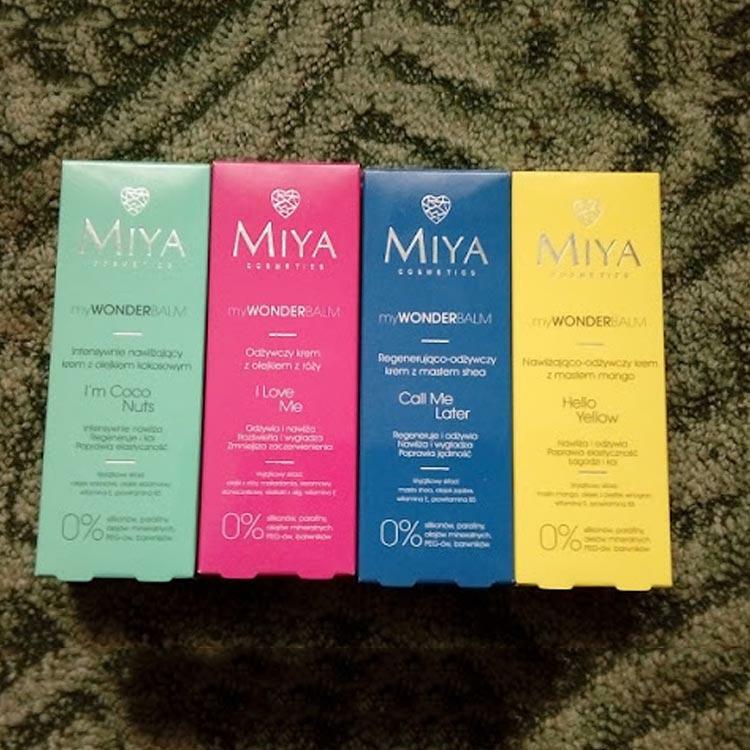 After using MIYA creams, I can feel a boost of freshness and energy. Before I’ve never had a cream that made me feel this way – and this was a big surprise from the beginning. A positive surprise, of course! What seduced me after the first application was its smell – the wonderful delicate shea butter. 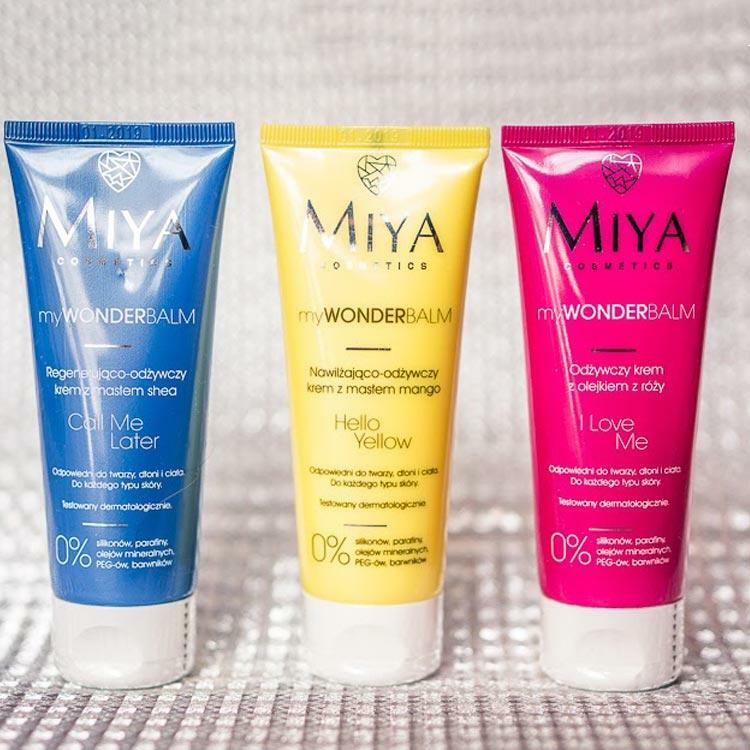 This is always the first thing I “look” at in face creams and I knew that this cream from Miya Cosmetics will become my favourite. Speaking of its formula, I have to emphasise that the cream has some really top-quality ingredients, including sesame oil, coconut oil and thermal water. I can see my skin really likes them. This cream has a beautiful smell and is absorbed quickly, which is important to me as I don’t like creams that leave a greasy film on the skin. I have used it for day and night, and as a makeup base. Results? My skin is firmer and better moisturised. 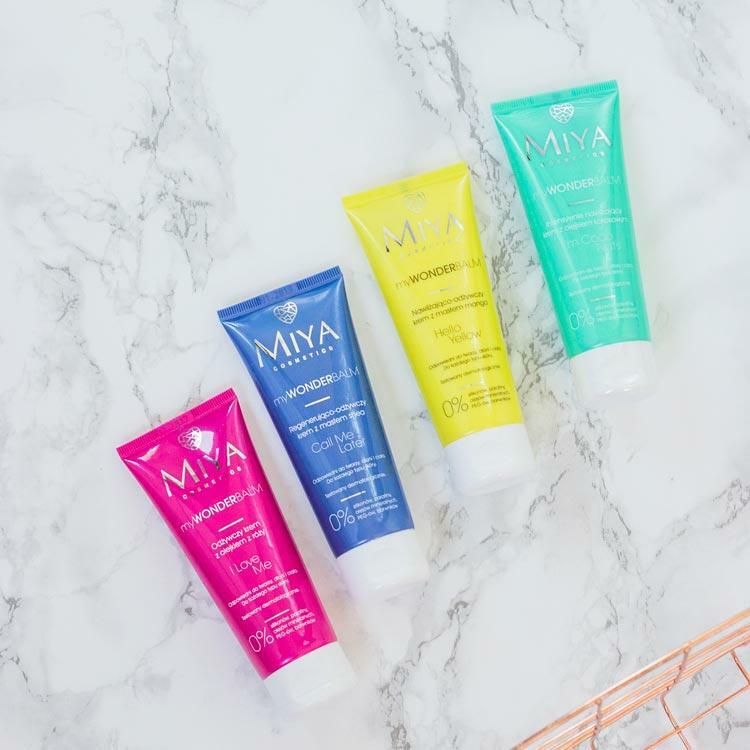 What distinguishes MIYA Cosmetics? Firstly, top quality of products. Secondly, 50% bigger size than most creams. Thirdly, beautiful packaging design! And last, but not least, attractive price which doesn’t make your wallet want to cry. I have to say each of the creams has a wonderful formula! 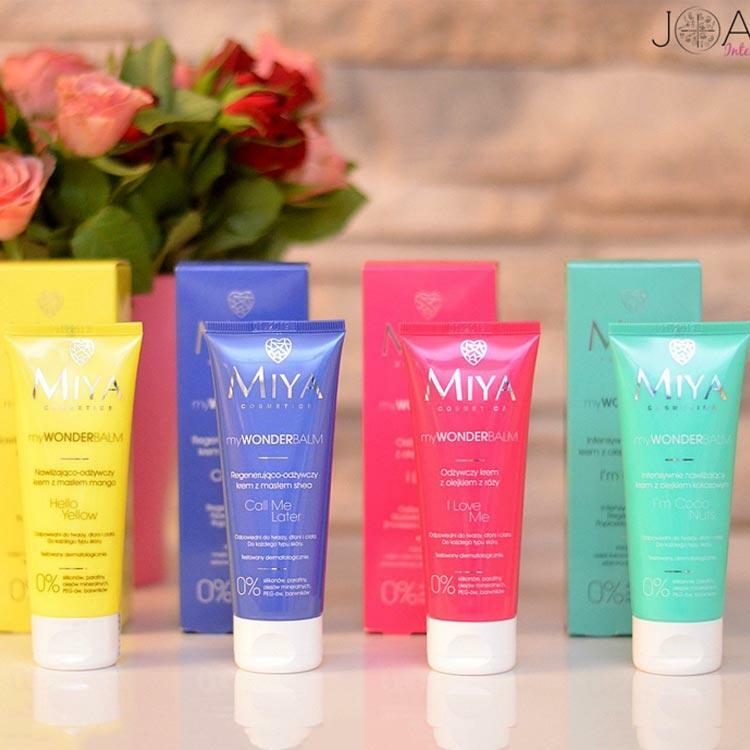 When choosing mine, I looked at the needs of my skin and decided to go for the pink one with rosehip oil. (…) it is absorbed very quickly. 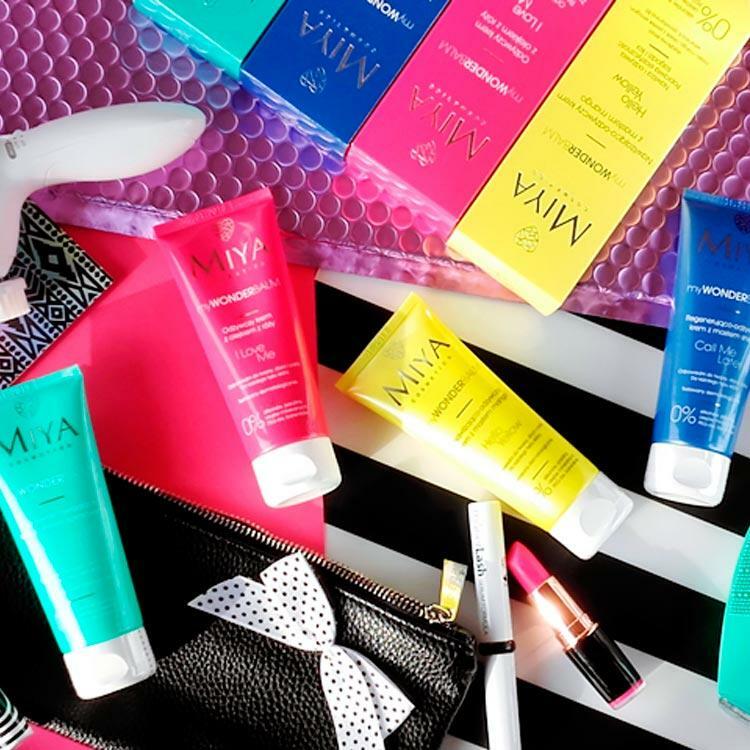 Your skin will be ready for makeup application in an instant. And with makeup your skin will have this beautiful satin matte look. 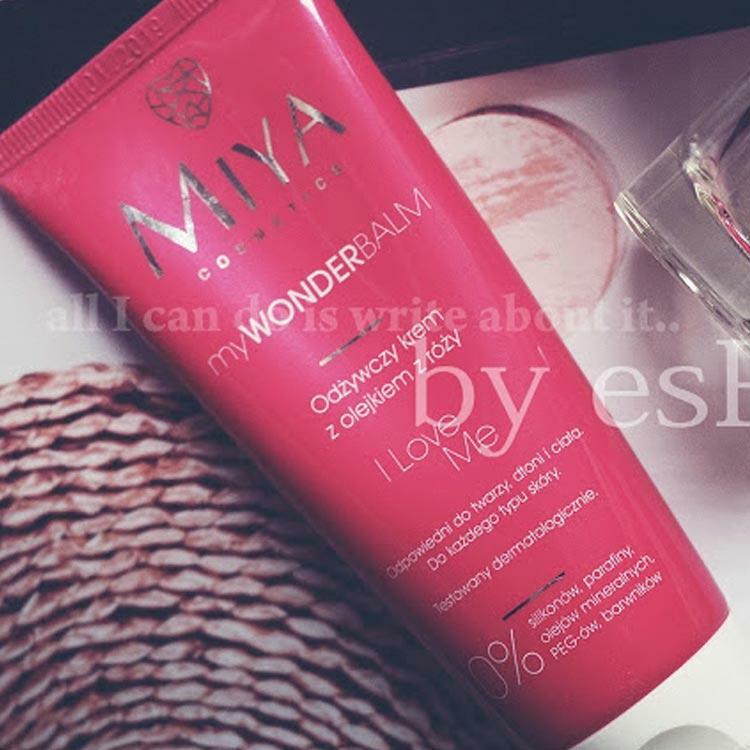 I was positively surprised by I LOVE ME cream as it made my skin look better day after day. This cream has moisturising and nourishing properties but also improves skin firmness and tone. If applied before bed, I LOVE ME will sooth all irritations instantly. In the morning your skin will be soft, smooth, firm but without feeling tight. (…). It also doesn’t clog pores, which is a huge plus. (…) The cream is a perfect makeup base. Miya can be used for face, body and hands, so it seemed perfect. 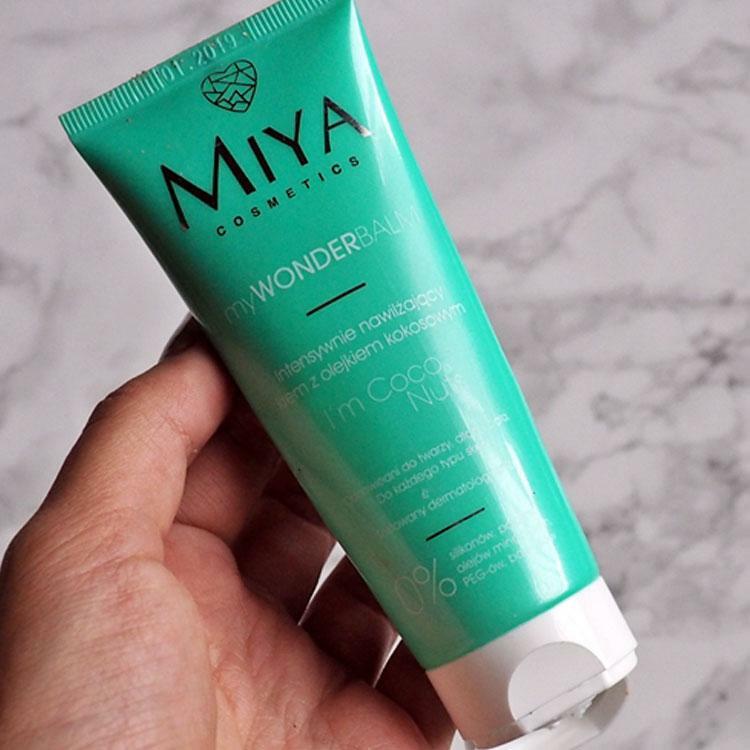 I chose myWONDERBALM I’m Coco Nuts. It has a rich consistency and smells like the sweet Piña colada cocktail (…) You almost want to eat it! The 75 ml tube means you can take it on the plane – and this is where I used mine for the first time. 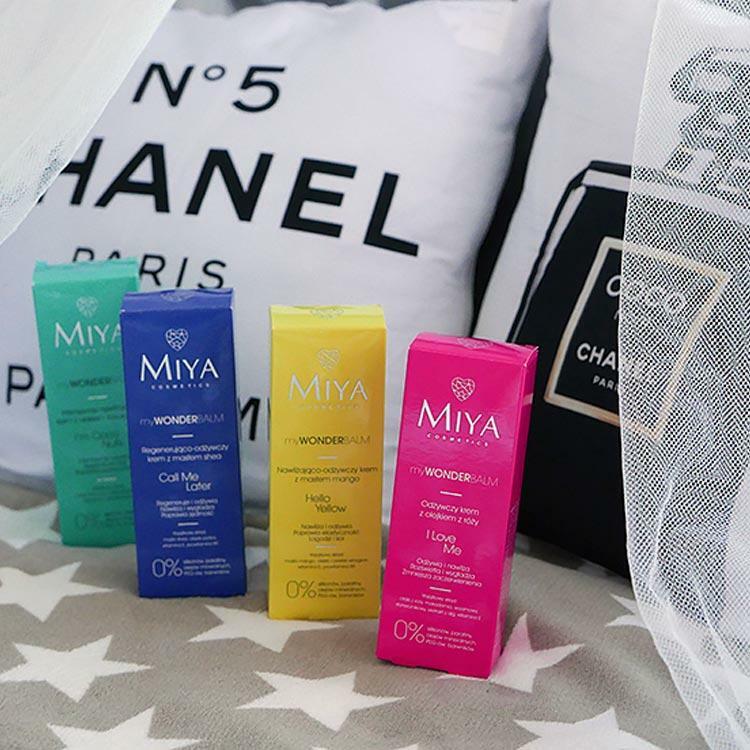 MIYA Team has created a really cool line of universal creams that work great as a first step in makeup application. 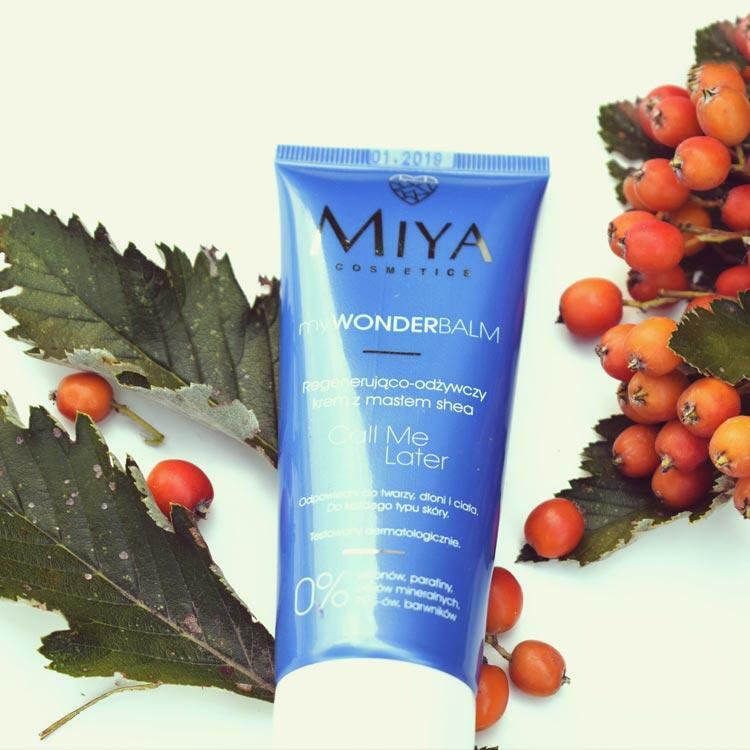 I’ve tested myWONDERBALM in different conditions and situations, and after a busy day my makeup still looked very nice and my skin felt good and nourished.